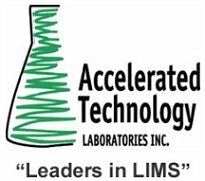 Accelerated Technology Laboratories, Inc. (ATL) will host an informational webcast on July 28, 2010 on the topic of Laboratory Information Management Systems (LIMS). This webcast is entitled The Needs Assessment - First Step to a Successful LIMS Deployment. This event is ideal for laboratory or QA/QC managers in the environmental, water / wastewater, food & beverage, energy, manufacturing (product/material testing), agriculture, life science, biotechnology and public health sectors. 07/23/2010 - Health-Related Quality Of Life Research – FDA and Pros: What to Do In 2010 and Beyond? Learn about HRQOL, the concept, strategies, process and how to interpret HRQOL results accurately. This CAPA investigation training webinar will discuss FDA’s techniques to do CAPA inspection, what the FDA tells their inspectors to focus in the QSIT document and how your company can use the QSIT document to prepare for inspection. In this Effective Standard Operating Procedure (SOP) training learn how to develop a comprehensive, consistent SOP. The critical elements of a SOP which is easier to understand follow and review by operating personnel. Learn FDA requirements for 21 CFR Part 11, understand how to implement with the help of SOPs and case studies. As part of its commitment to introducing third generation DNA sequencing technology to the market, Pacific Biosciences today announced the launch of a software developer’s network – the PacBio DevNet – at the Eighteenth International Conference on Intelligent Systems for Molecular Biology (ISMB 2010). Pilgrim Software, Inc., a world-leading provider of Enterprise Risk, Compliance and Quality Management (ECQM) software solutions, today announced the global availability of its expanded Regulatory Reporting platform. Rounding out the platform, the MedDRA adapter is the newest capability from Pilgrim, integrating with its Complaints Management solution to ease adverse event reporting to global regulatory bodies. Optibrium, a provider of software solutions for drug discovery, and Tessella, the information technology and consulting services company and world leaders in digital preservation technology, today published a new paper highlighting that scientists’ instincts may not always lead them to making good drug discovery decisions. PETra, the new PET process management LIMS from LabLogic Systems, has the cure for one of the industry’s biggest quality headaches - maintaining up-to-date records of the components that make up each radiopharmaceutical. Thermo Fisher Scientific Inc., the world leader in serving science, today announced that ESKOM, the largest electricity supply company in Southern Africa signed a contract to rollout Thermo Scientific SampleManager LIMS (Laboratory Information Management System) to its thirty four laboratories. The project will be delivered via Thermo Fisher’s partner in South Africa, LimsTricS. Labtronics Inc., a world leader in laboratory automation is pleased to announce the release of a new web based viewer for LimsLink, it's industry leading laboratory integration solution. The LimsLink Viewer allows operators to access data that has been processed by LimsLink, without installing a LimsLink client. Using a standard browser, you are able to access LimsLink data from any PC without installing software.